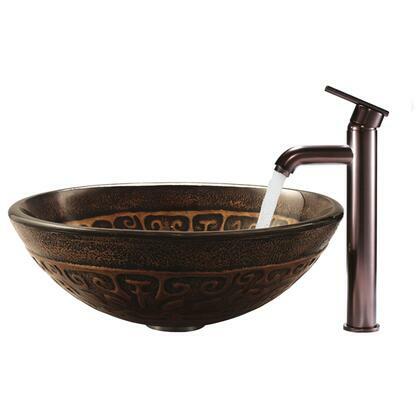 The VG07019 glass vessel bowl is attractive and stylish with its dark brown color and golden design. I am very glad I purchased this vessel to update my bathroom and redecorate around the vessel. Received sink a little later than expected. but overall a great sink. 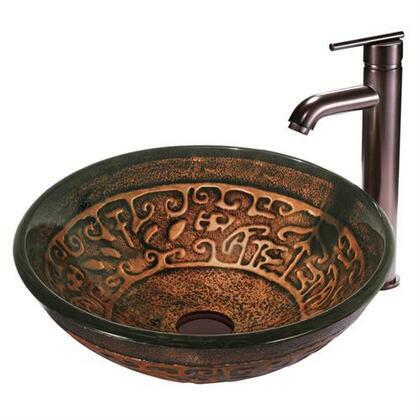 I bought 2 of these sinks for my master bathroom and LOVE them. The quality is better than I expected and more beautiful in person. I am a real estate investor and will buy these for many of my renovation projects. Looks gorgeous in my new bathroom. Everyone loves it. This sink/faucet combination is gorgeous! We are having all our bathrooms remodeled and this set was installed in our powder room. Have posted pictures on Facebook and all my friends love it!